Over the next few days you should start receiving DC specific GMB correspondence containing your indicative ballot paper and pre paid return envelope. 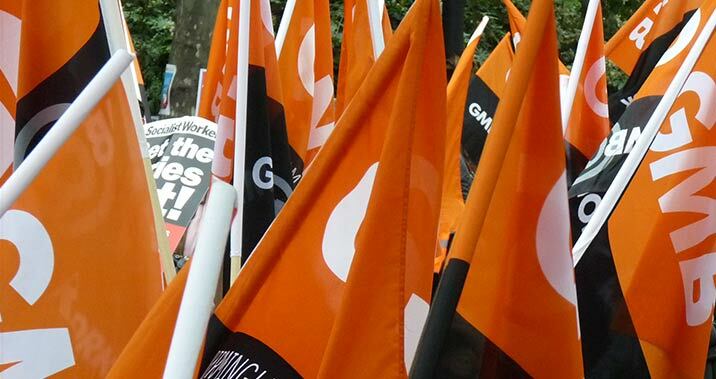 Click the link to see the latest GMB statement ref: 7 day working in DCs. We would like to give an update following a post on our sister page, GMB W21 Branch. In relation to the ongoing discussions, briefings and conversations over the past few days, GMB would like to clarify our position. To begin with, we would like to give thanks to all our members, activists and reps for their support over the last 12 months. GMB members get discounts on LV= Car insurance. Go to http://lv.social/MH5q to get yours. Wilko has informed retail team members and GMB Union that the company is going to commence collective consultation on their proposal to operate 7 day deliveries. Please click here for the official bulletin regarding the recent pay ballot from our National Officer. Bluebell Wood Childrens Hospice – Became members of the 365 Business Club, also making a donation to our branch auditor, Clayton Tindle, who is doing a skydive in April on behalf of Bluebell Wood.